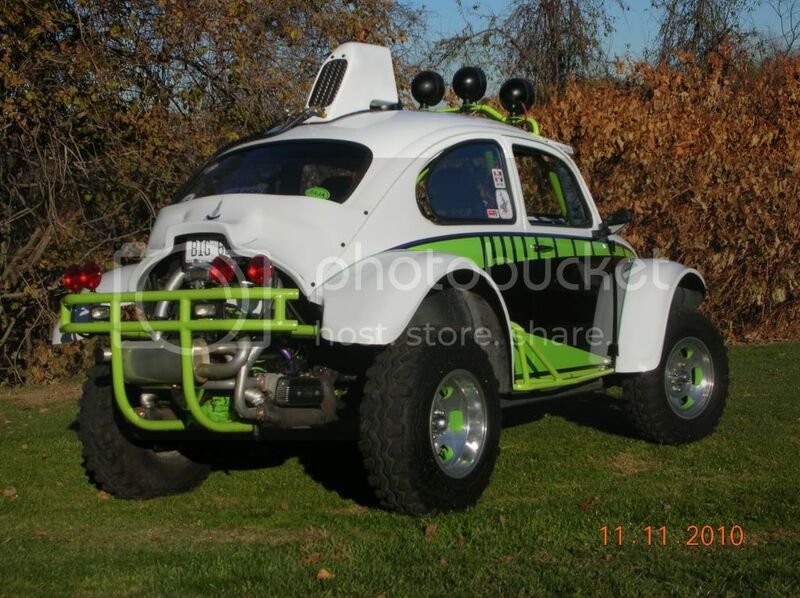 AzBaja.com, Home of the VW Baja Bug -:- Baja Forums -:- VW Volkswagen Bug, Baja, Bus, Sandrail and Thing -:- VW Volkswagen & Baja Bug General Discussion -:- Roof Scoop? Baja Forums -:- VW Volkswagen Bug, Baja, Bus, Sandrail and Thing -:- VW Volkswagen & Baja Bug General Discussion -:- Roof Scoop? I have acquired a free roof scoop for my '68 bug, and I'm trying to decide whether I should put it on or not. The inlet and the outlet for the oil cooler which is installed in the roof scoop go down (into the roof) and it seems like it would be tough to install it without creating a leak in the roof... I figured the rest of the scoop I could bolt/rivet in and then bondo over the lip to make it look smooth.. Any experience or suggestions about the roof scoops? Post subject: Re: Roof Scoop? If you keep your oil lines outside the car your only chances for leaks are where the hoses attach to the cooler (oil leak) and water leaking in where you attached it to the car. Additionally, make sure you have some sort of fan for slow traffic driving. Scoop works great when moving, not so much when stuck in traffic. I just realized that I can probably drill a few holes in the roof scoop and flip the oil cooler around so the lines would run outside the car. I was planning on using gasket sealer on the bottom of the roof scoop where it touches roof also so hopefully that will stop any leaks. Does anyone know if it would be a good Idea to hook up the new oil cooler in line with the old oil cooler (2 coolers) or if that's a bad Idea? If I should only use the roof scoop oil cooler, I was thinking about mounting two fans on the outside of the scoop on the back to help move air when it is stopping... Maybe I could tie them into the brake switch?! Most people run the Oil lies out the side of the cooler and down one of the "C" pilers in the back. Most or the ones that look the best use the braided line with the Red and Blue fittings with the 90 degree elbows. I'd love to find some nice braided lines! The better way to run switched fans is with a thermostat(sp?). That way the fans come on when needed. Remember that the roof mount oil cooler is vulnerable to low branches or role overs. Summit carries braided line land fittings. Thanks for the pics! I've seen your bug on here a few times... Absolutely Beautiful!!!! Love it! So I tested my oil cooler, I got for free, by running some compressed air through it and found an unfixable hole... But I threw the cowl and broken cooler on anyway while I search for a new filter.... I figure I'll leave it on for a while to see if I like the look and if so I will buy a new cooler for it. ok now that Ive seen it on the car you HAVE to put it on! Looks sick! Allright last time I'm gonna bother you all with this but I have to post a picture with the nerf bars and light bar! Ok... I Lied... Here is the last picture! 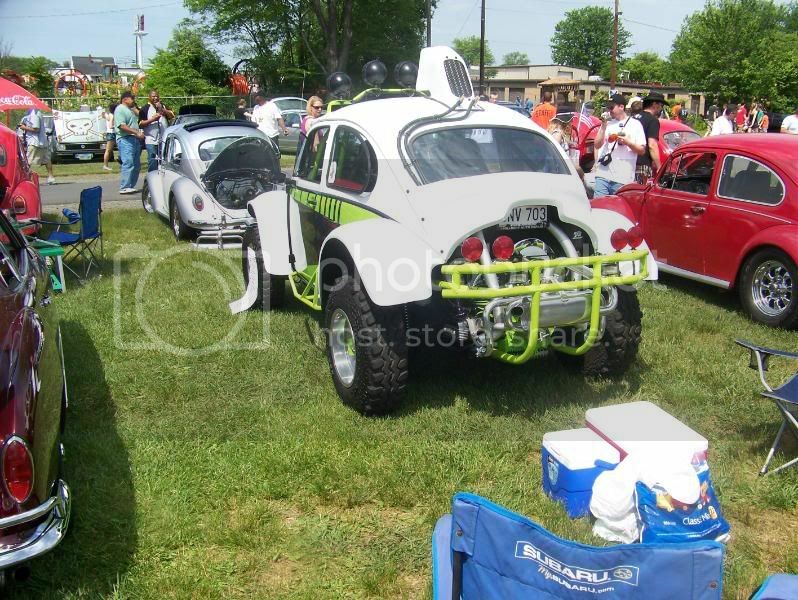 VW Volkswagen & Baja Bug General Discussion I need a roof rack? 5 homeshark66 8336 I need a roof rack? 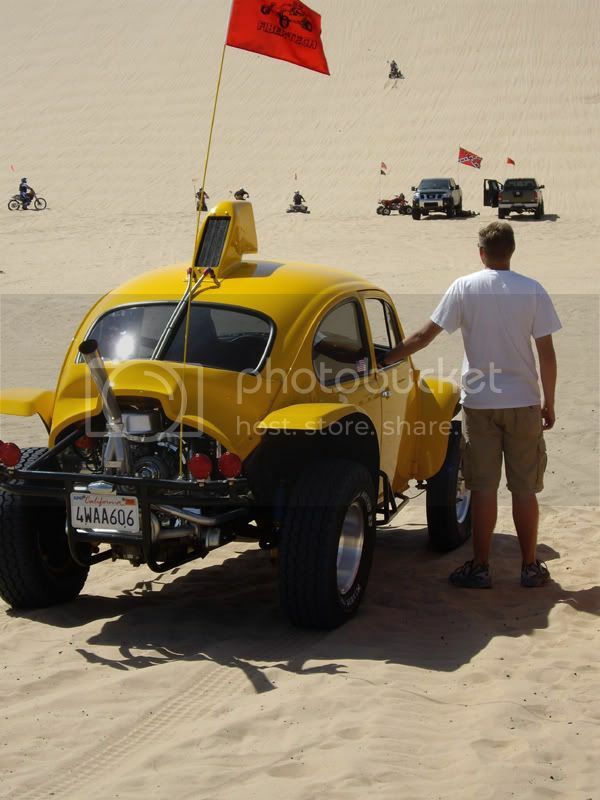 VW Volkswagen & Baja Bug General Discussion Roof rack help..
How does your attach? 11 bajaboi727 4226 Roof rack help..